Nearly invisible cut cancelled. The engravings are to die for! 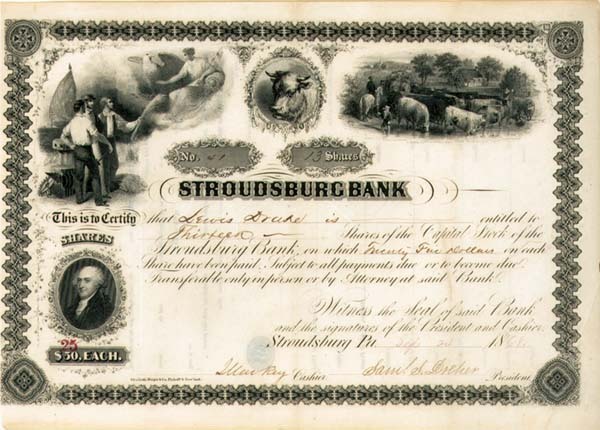 By far, one of the finest bank stocks we’ve ever seen! Excellent Condition. Very Rare!